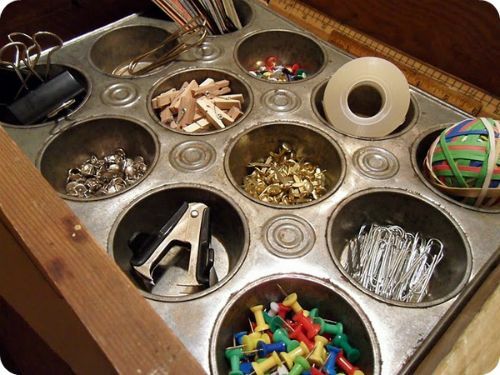 Drawers are one of the most challenging things to organize. 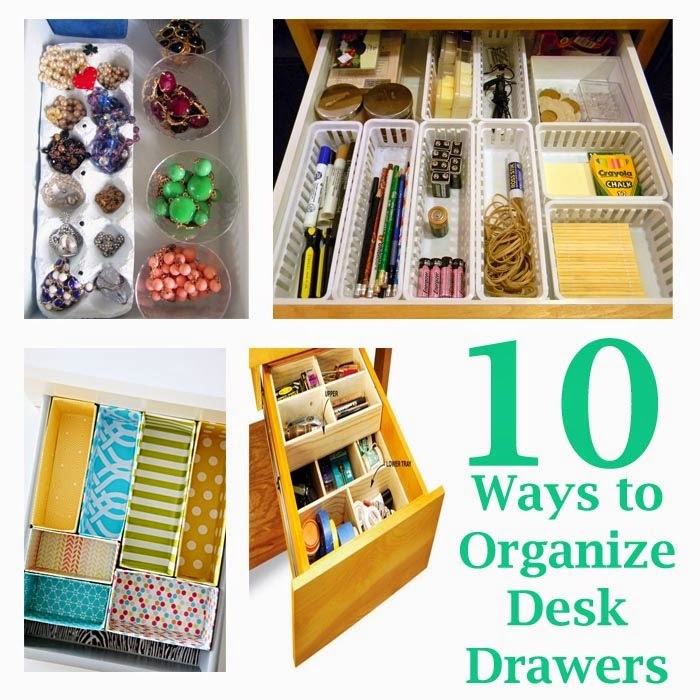 It would be nice if you have some ideas to help you organize your desk drawers. 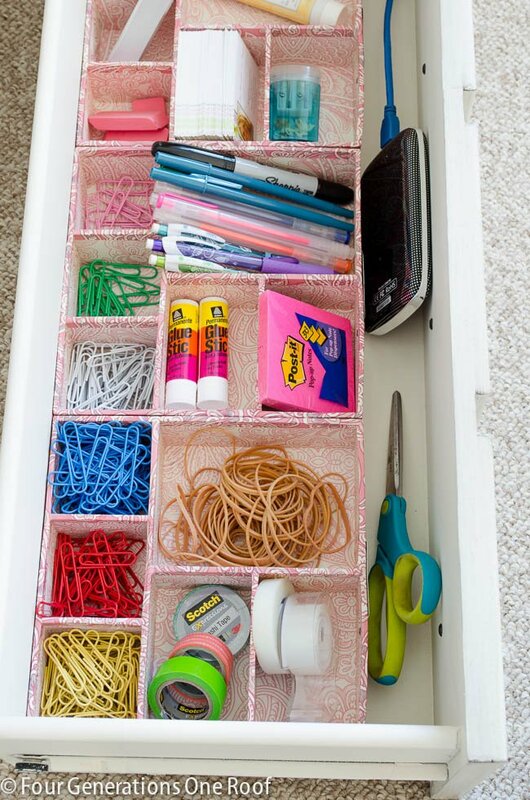 Here are 10 ways to inspire you to create your own organized desk drawers. 1. 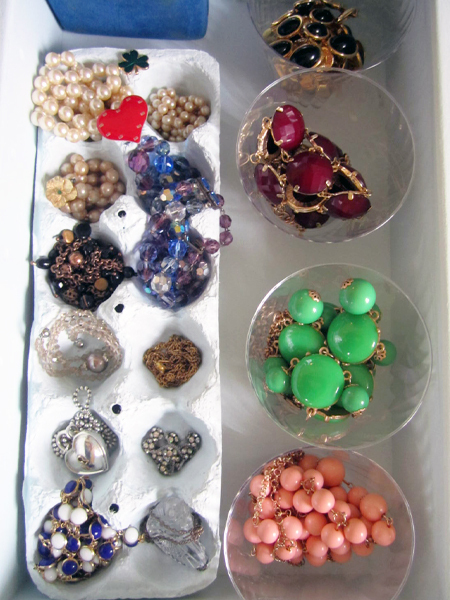 Use egg trays for organizing jewelry on your drawers. 2. Use plastic baskets to create a division for different stuffs. 3. 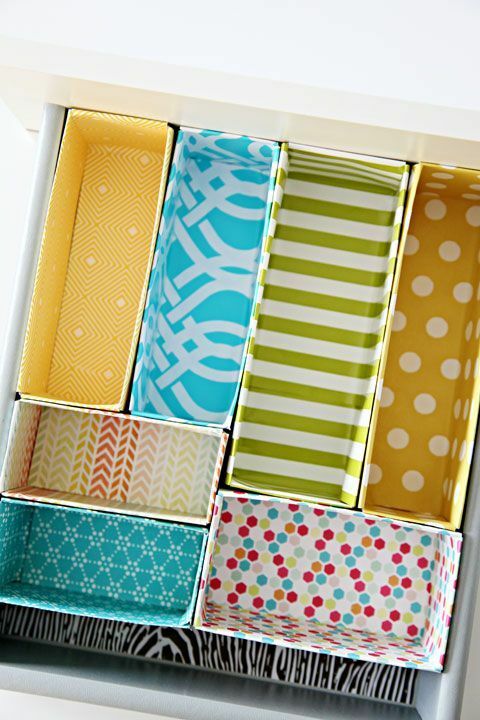 Use box containers with design to add flair to your drawers. 4. Use cereal boxes covered with pretty wrapping papers to make it look happy. 5. 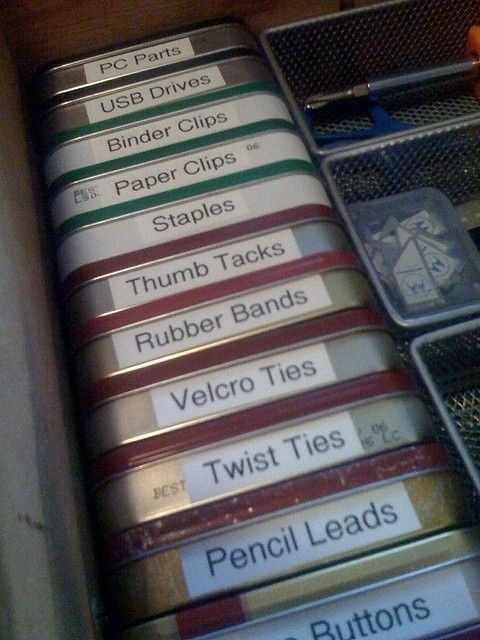 Organize using old tin cans and label them then with stickers. 6. Use cutlery tray from a dollar store to provide simple division. 7. Use old muffin pans to put little things. 8. 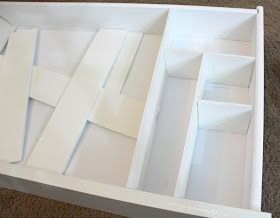 Use clear organizer trays so you can easily see what's inside them. 9. 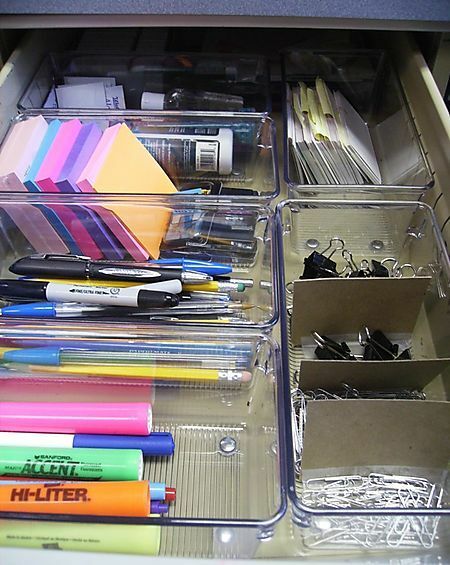 Use custom dividers if you like to maximize storage on your desk drawers. 10. 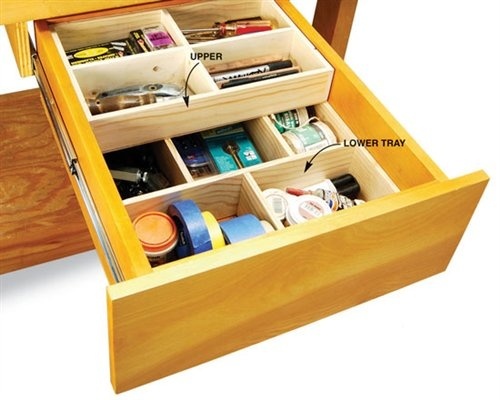 Use stackable draw organizers for drawers that have longer height.